Newsletter - Dont Miss The Paving Award Deadlines! Subject: APAM Newsletter - Dont Miss The Paving Award Deadlines! The 11th annual Scholarship Fund Golf Outing was held on Wednesday, August 16, 2017 at Bucks Run Golf Club in Mt. Pleasant, Michigan. 112 golfers participated in the outing and it was a great day for golf! There were many great conversations amongst industry friends and associates. This year's winning team, with a 56, was sponsored by Ferris State University; Tom Larabel, Marc & Owen Beyer and Justin Foster. The 2nd place team sponsored by Rieth-Riley; Chad Loney, Josh Buchanan, Len Evans and Alan McQuestion shot a 59. Congratulations to both teams! Also awarded were prizes for Longest Drive: Lindsay Sawyer, Closest to the Pin: Don Sjogren, and Longest Putt: Team Cadillac (Gaedcke, West, McIntyre, Wiggins). 50/50 winner this year was Frank Kohler, who took home $550! Special Thanks to all our sponsors! Beverage Sponsors: AIS Companies, Cadillac Asphalt, LLC, Michigan Paving & Materials Co., and Stoneco. Hole Sponsors: AIS Companies, Bit-Mat Products, Cadillac Asphalt, LLC, Central Asphalt, Inc., Edw C Levy Co., Ferris State University Construction Institute, Give "Em A Brake" Safety, Marathon Petroleum Co., Michigan CAT, Michigan Paving & Materials Co., Ontario Trap Rock, Rieth-Riley Construction and Superior Asphalt, Inc. Courtesy Bag Sponsors: AIS Companies and Michigan Paving & Materials Co. Golf Ball Sponsor Give "Em A Brake" Safety. Silent Auction Donations: Seneca Petroleum (Detroit Lions Tickets) and Central Asphalt, Inc. (Buck's Run 4 Person Pass). These donations raised an additional $625 for the Scholarship Fund! This year approximately $12,000 was raised! That brings are total to date funds raised to $102,000! This is an awesome amount! We thank you for your support to the Scholarship Program. See you next year! Scholarship Fund Applications can be found on the APAM website under the "Education & Training" tab on the home page left hand side, or click here. Deadline for submittal is October 23, 2017. Scholarships will be awarded at the Awards Banquet on December 7, 2017 at the Kellogg Center in East Lansing. It's Time! Deadlines for 2017 Asphalt Paving Awards nominations are fast approaching. Start thinking of those projects that you have completed or will complete by the project deadlines and nominate them for an award. Don't forget about those projects completed in 2016 after the deadlines! The APAM/MDOT Nomination forms are available on the APAM website home page, right hand side under the APAM Events and Happenings Box or click here! Be sure to save Thursday, December 7, 2017 and plan to attend the Awards Banquet at the Kellogg Hotel and Conference Center in East Lansing. In a news release on September 19th, MDOT announced "The Michigan Department of Transportation (MDOT) has decided to engage private partners to help build a world class freeway that includes a new drainage system on a 5.5-mile section on the I-75 Modernization Project in Oakland County. This includes leveraging both local and national expertise, construction innovation, private financing, and long-term maintenance." MDOT will move forward with a design, build, finance, and maintain (DBFM) method on the stretch between 8 Mile and 13 Mile roads. According to MDOT, "This method of delivery was selected because of its ability to accomplish all the necessary work and transfer more risk to the private sector for long-term maintenance once the project is completed. The selected team is given annual payments based on detailed conditions and performance of infrastructure to protect taxpayer investment." Additional information for the I -75 Modernization Project, click here. The complete list can be viewed here. All of the 2012 FUSP and/ SS updates, additions, deletions, or use statement changes will take effect beginning with the October 6, 2017 letting, except the revised effective date for the FUSP 12SP-101A-01 will be the November 3, 2017 letting. - Added concrete definitions, minor addition regarding costs associated with emergency repairs in e.5, added e.6., changed staff titles in f. 5, modified language regarding bonds required for warranty repairs in f.7, Moved the last paragraph in section i. to the end of section h, minor modifications to language in sections i. and j, replaced form at the end with a revised version that states the form number and changes the cc list. This form is available as a fillable form making it easier to use and save in ProjectWise. 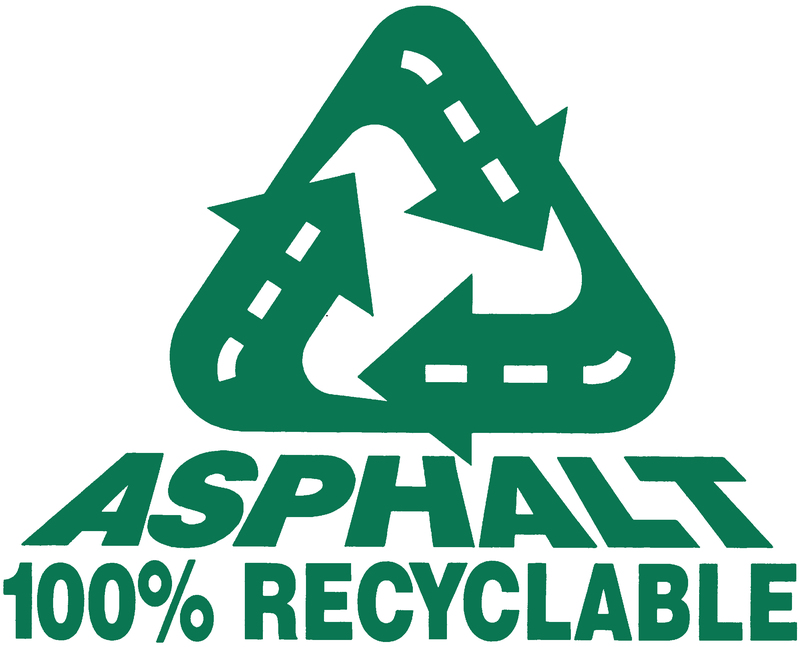 12SP-501G-06 RECYCLED HOT MIX ASPHALT AND RECYCLED ASPHALT SHINGLES IN SUPERPAVE MIXTURES- Language stating that RAP was not allowed in gap graded mixes was removed. 12SP-501O-02 WARRANTY WORK REQUIREMENTS FOR MULTIPLE COURSE HOT MIX ASPHALT OVERLAYS ON CONCRETE PAVEMENT; MULTIPLE COURSE HOT MIX ASPHALT OVERLAYS ON COMPOSITE PAVEMENT; MULTIPLE COURSE HOT MIX ASPHALT OVERLAYS ON FLEXIBLE PAVEMENT - Added Gap Graded, changed the Ride Quality language to match the rest of the specs and eliminate RQI. 12SP-501Q-02 WARRANTY WORK REQUIREMENTS FOR HOT MIXED ASPHALT PLACED ON CRUSH AND SHAPED BASE - changed kilometers to miles in note a. of table 1, added Open Joint to longitudinal cracking in Table 2 to match Table 1. 12SP-501R-02 WARRANTY WORK REQUIREMENTS FOR COLD MILLING AND ONE COURSE HOT MIX ASPHALT OVERLAY (CAPITAL PREVENTIVE MAINTENANCE)- Fixed a typo in the description. (2) AWI samples per HMA Production Manual. Previously it referenced BOHIM 2003 01. This change was made as part of the elimination of BOHIMs. 12SP-101A-01 PROGRESS SCHEDULE - Use in all projects. Note: Per MDOT: Form 1130, Progress Schedule is currently required to be submitted after confirmation of low bid and before project award. Effective with the 11/03/17 letting, all progress schedule submittals must occur after project award. This change was requested by FHWA to ensure that negotiations do not occur prior to project award. 12SP-107J-01 OPEN TO TRAFFIC - Use in all projects. Federal enforcement of OSHA's silica rule begins on Sept. 23. Some state OSHA agencies have enforced the rule since its original compliance date of June 23. While the majority of dust-generating road construction activities, such as milling and saw cutting, have approved controls that can be used under the rule to ease compliance; some common activities, such as power brooming, do not have an explicitly approved control. When OSHA does not identify an approved control for a dust-generating activity, the employer is responsible for ensuring employees are not exposed to airborne crystalline silica above the action level or permissible exposure limit (PEL). Employers can rely on direct or indirect monitoring, or on "objective data" from other similar activities to ensure compliance. Some companies have begun monitoring power broom activities to determine if certain equipment controls, such as a water suppression system and/or enclosed cab, will maintain exposure below the PEL. Under the compliance obligations for construction activities under OSHA's Silica Rule, each employer must designate and train at least one individual as a Competent Person (CP). To aid in understanding the obligation, NAPA has released "Designating a 'Competent Person' Under OSHA's General Construction Standard and the Silica Rule" (Special Report 119). as well as links to training resources. 5. Maintain all appropriate records including air monitoring, exposure, and any "objective" data, as well as medical surveillance information. For additional resources related to the five activities above, and a discussion of compliance considerations for power brooming , visit NAPA's Regulatory Blog. NAPA also provides multiple resources to aid in understanding and meeting compliance obligations on its Silica Rule web page. Almost 20 years ago OSHA finalized its Respiratory Protection Standard, which allows the use of respirators as personal protective equipment (PPE) to control certain hazards, like high levels of respirable dust, when engineering controls are not feasible. With the implementation of the Silica Rule, the use of respiratory protection to control silica-laden dust must follow additional, more stringent requirements. For example, while a medical evaluation is required for participants in a general respiratory protection program, a medical examination with a chest X-ray is now required under the Silica Rule for individuals who wear a respirator for 30 days or more each year, regardless of their length of daily use. General training on OSHA's original Respiratory Protection Standard can be viewed here; the more advanced requirements of a respiratory protection program under the Silica Rule can be viewed here.